Bennett has recovered very nicely from the sinus surgery he had a few weeks ago. 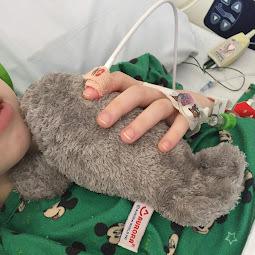 Last week, I took him back to the ENT for a post-op follow-up. 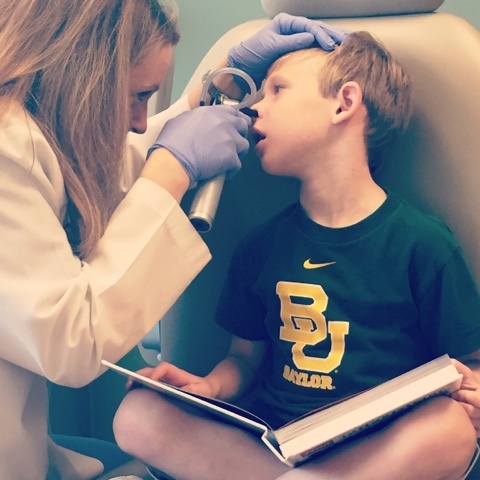 Even after the surgery, Bennett continued to have less-painful but still persistent headaches. The ENT decided to prevent any further infection by prescribing him an antibiotic. He hasn't complained of headaches since. It feels SO good to know his sinuses are clear for now. We have noticed his appetite has increased and he's actually been more interested in food. We imagine it's because he can smell and taste again. 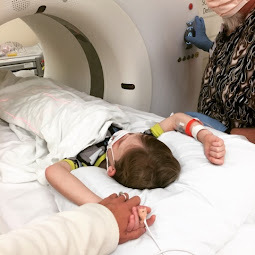 However, one sad moment for us with regard to surgery is the addition to yet another therapy to Bennett's already overwhelming treatment schedule. We have now had to start sinus rinses. A "sinus rinse" is the use of a specially-designed squeeze bottle to push salt water up one nostril causing it to naturally run out the other to loosen up mucus and wash out bacteria. If it sounds freaky, believe me, it is. But, what I found from doing it myself is that it's fairly natural once you get used to it. Try telling that to a 5 year old. I begged Brian to do it with me first. 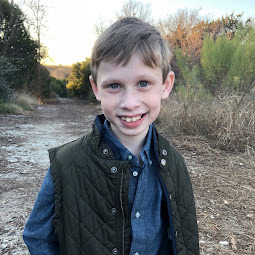 I felt like that, in order to better understand the feelings Bennett would have, we, as his parents, needed to bravely try it first. (This took Brian a bit to get on board.) It felt weird and a little uncomfortable but ended up feeling like the feeling after you've had a good cry and blown your nose or after you've done flips in the swimming pool all day - where your nose just feels cleaned out. It kinda feels cleansing. But again, try telling that to a 5 year old. We told Bennett what we had done and what we needed him to try too. Bennett knew he couldn't resist for too long. So, he hesitantly allowed Brian to give him a sinus rinse on one nostril. Despite that it is fairly harmless, his reaction was that of distraught. So, we knew we weren't going to get him to do the other nostril on the first night. 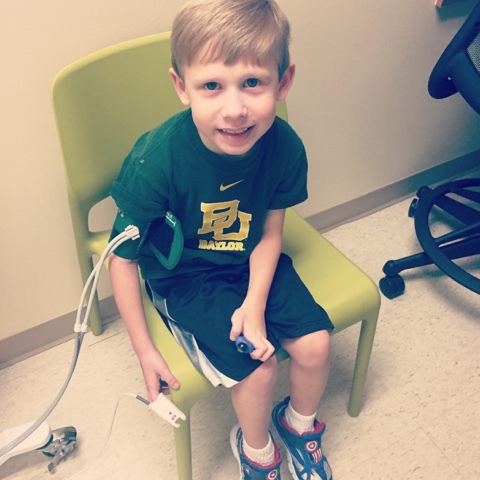 Nonetheless, through his tears, right before he had to try the sinus rinses for the first time, Bennett said in resignation: "This is why I don't like having Cystic Fibrosis." We get it. 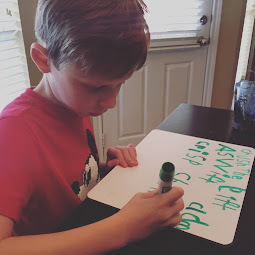 Not only is it mentally taxing to have to add one more thing to your list of things you have to beg your child to do every morning and every evening, sinus rises adds to our daily work, as well, as his caregivers. The sinus rinse bottle has to be washed after every use and the distilled water has to be mixed with saline packets to prepare for every use. 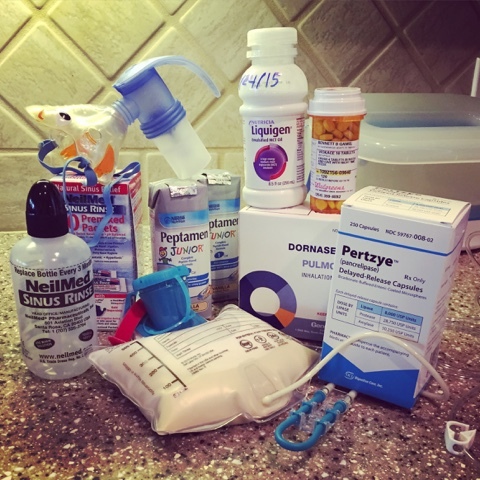 ...add that to the daily washing and sterilizing of his nebulizer treatments and the twice daily making of his feeding bag and the multiple times daily giving out of pills and the twice daily placing of Bennett on the Vest for 20 minute increments and monthly reordering of meds and it's easy to see why one.more.therapy can be overwhelming. Raising Bennett doesn't just include giving out rewards for chores like brush your teeth, pick up your toys, make your bed but also do your Vest, take your meds and do your sinus rinses. It's wearying just to do the first three, much less the second three on top of that. This is why we don't like Cystic Fibrosis. We have had a really hard time with sinus rinses. But E is only 3 years old. I think it's great that he was brave enough to do it the 2nd day. And I just want to say that you're doing a great job!